Get a total beauty makeover with Ecostay Gel Eye Definer! 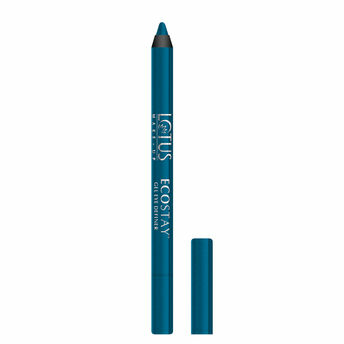 Lotus Ecostay Eye Definer is the best way to create those smoldering eyes. An intensely one stroke gel infused application, it glides on smoothly with no smudges and gives you long lasting finish. Mesmerize your eyes with the satin smooth texture of this new luxurious eye definer. Enriched with Macadamia Oil, it is very nourishing and hydrating, maintaining the right amount of moisture. It works as a healing and reparative serum to reduce any type of allergy or inflammation in the eyes or skin. Explore the entire range of Eyeliner available on Nykaa. Shop more Lotus Herbals products here.You can browse through the complete world of Lotus Herbals Eyeliner .